We are getting excited to see you! We hope you had a wonderful and safe 4th of July! There are only 2 more days left until we kick off our 2013 Christmas in July! The cookies are being baked, the punch is getting cold and the sewing machines haven't stopped, so we hope to see you Thursday July 11 to Saturday July 13th for our sale. 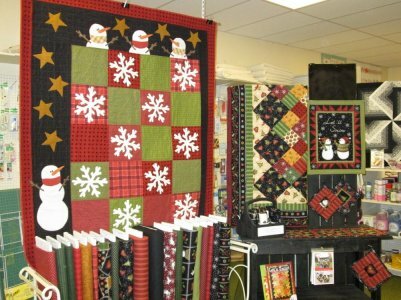 We will be having all kinds of samples displayed and on Thursday at 6 pm we will be having our Schoolhouse classes. Remember, we won't give you homework but you will learn some new techniques to make more beautiful projects. Just an idea of what you can expect!